While the Tour de Suisse is part of the UCI WorldTour, it does not have the same profile as the Giro d’Italia or the Tour de France. As a result, the Swiss Alps are not on every rider’s radar. But they should be, as this world class loop proves. 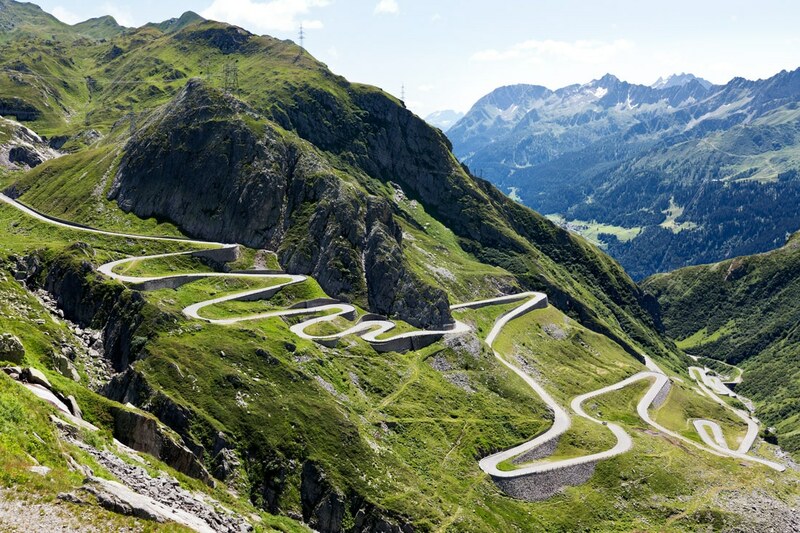 The Gotthard Pass, or Passo Tremola in Italian, is one of the most unique passes in the Alps thanks to its top 5km of original road surface, in the form of cobblestones. But not only is the pass cobbled, and steep, but thanks to the Gotthard tunnel, it is not used by many cars. Besides a few motorbikes and curious tourists, cyclists will have the bumpy experience to themselves. 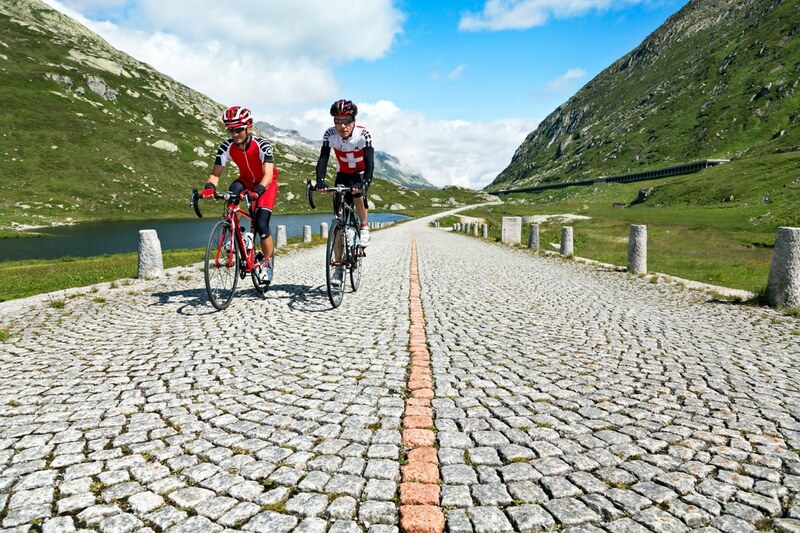 The Pass can be ridden from a number of different routes, but the best experience comes from Airolo, which is arrived at in descent after climbing the Nufenen Pass, the second highest paved pass in Switzerland (2,478m), from Andermatt. The Central Alps, around Andermatt and Meiringen, include numerous monster passes which can be linked in all different forms. TIP: Remember to visit one of the many cheese and sausage trucks on the Gotthard Pass. Make a purchase, sit in the sun, and do some people watching. 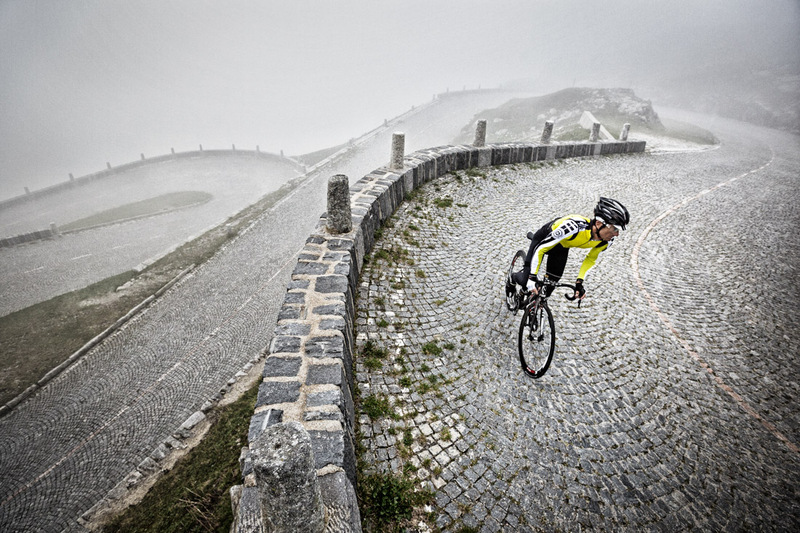 The top of the Gotthard includes a long, flat section of cobbles before the silky smooth descent back to Andermatt. Climbing the Gotthard in typical conditions, thick cloud and mist - somehow it all feels appropriate. This is one of the most beautiful places in the world. To have been admired by so many millions of people for tens of thousands of years, to pass through so much of mankind’s history in the world, it is still pristine and lovely for everyone who traverses’ through in their lifetime. One can put themselves into the state of mind as the pre-historic peoples who first arrived here.